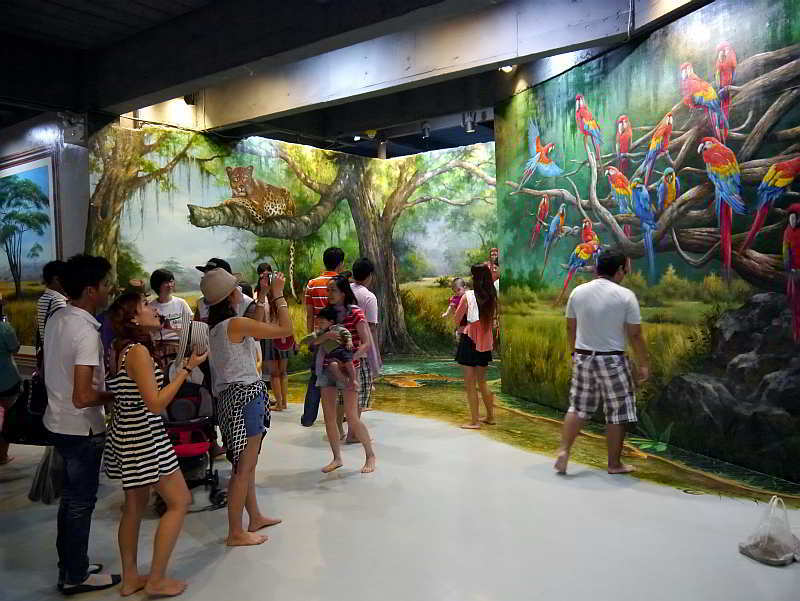 First off, the admission/entry prices at Pattaya Art In Paradise. Foreigners 400 baht, Thais 160 baht, children under 2 years old get in free. Art in Paradise Pattaya entry tickets are up to 50 percent cheaper if you book on-line, see below. Get discounted entry/admission tickets to Art in Paradise Pattaya. Read this Pattaya online tour and entry ticket booking guide and get cheap tickets to all the best attractions, activities, shows, and sightseeing tours in Pattaya. How smart is Pattaya Art In Paradise? Is it one of the best rated things to see and do in Pattaya. Pattaya Art In Paradise is open between 0900 until 2100. For address and directions use this Pattaya Tourist Attractions Google map. I know ‘Art in Paradise’ has been covered hundreds of times already, but I will give you a retrospective view, I will point out a few things I did, which you should not do. In other words, you can learn from my mistakes. First tip: it gets busy at weekends, try and visit on a weekday, or else you will be waiting a long time to take your photos. Second tip: Take your Thai driving license and get in for the same price as Thais. By the time I arrived at this picture I had learned that the glossy finish of the paintings reflected the light from the camera’s flash, so I increased the ISO rating to 3200 and turned off the flash. Notice all the bare feet ! (photo above), you have to take off your shoes (they supply you with a plastic bag), many of the paintings are on or include the floor below them, the purpose of the bare feet is to protect the paintings from scuff marks. Take a shoulder bag to carry your shoes, otherwise you’ll struggle adjusting your camera settings. 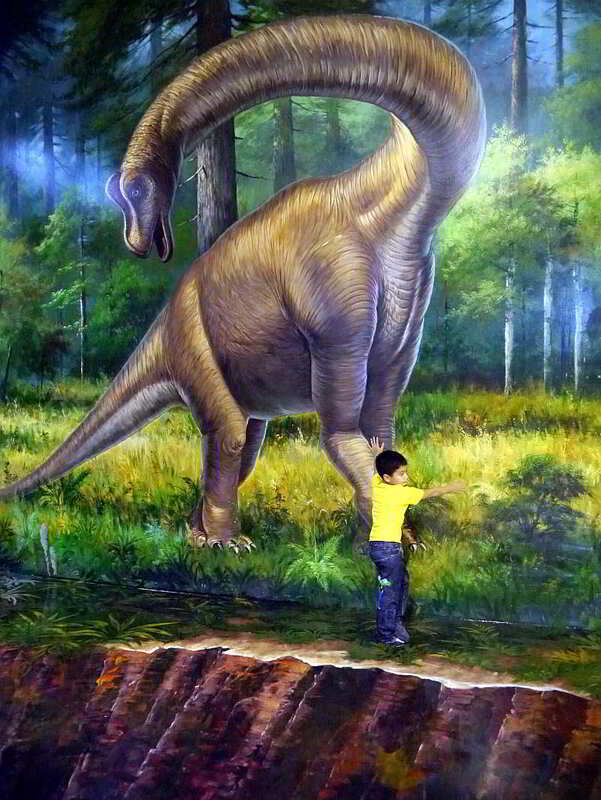 One of several galleries at the Pattaya 3D Art Gallery. It’s all about perspective, the illusion does not work unless you position yourself and your camera in the correct position. Take your time when photographing the floor paintings, make sure you are looking from the right perspective (viewpoint), look for the vertical lines, and try shooting a few photos from a low angle to capture the background. Confessions of a Window Cleaner !. Take a wide angle lens with you to capture the larger paintings, as you can see in the photo (above) some of the paintings cover a whole wall. You don’t have to frame the whole painting, try getting a few close up shots. I actually did some serious cropping on this photo (above) to remove the glare of the flash, it is still evident in the top left of the photo. It doesn’t have to be interactive, but a little role play can make all the difference.